Soleil Blanc by Tom Ford - A floral oriental fragrance for women and men. With notes of solar accord, beachy florals, and amber, this coconut suntan lotion inspired fragrance from Tom Ford is addictive and decadent. Launched in January 2016 and available in an eau de parfum spray and shimmering body oil. Package Design Classic Tom Ford bottle in opaque white with goldtone label and accents. "Unexpected. Sultry. Addictive. Remote private islands where summer lasts all year and one day seamlessly blends into the next inspire Soleil Blanc, an addictive solar flower amber alive with seductive refinement and refreshing decadence. Tom Ford's latest Private Blend creation unapologetically exudes the endless pursuit of sun and luxury that defines TOM FORD Soleil." 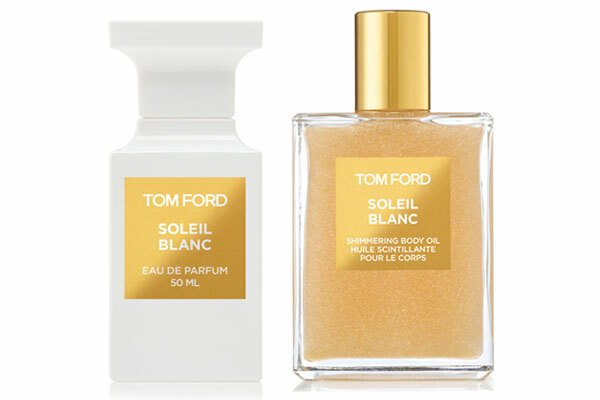 Tom Ford Soleil Blanc's ($535) luxe blend of coconut milk, bergamot, and tuberose is addictive. 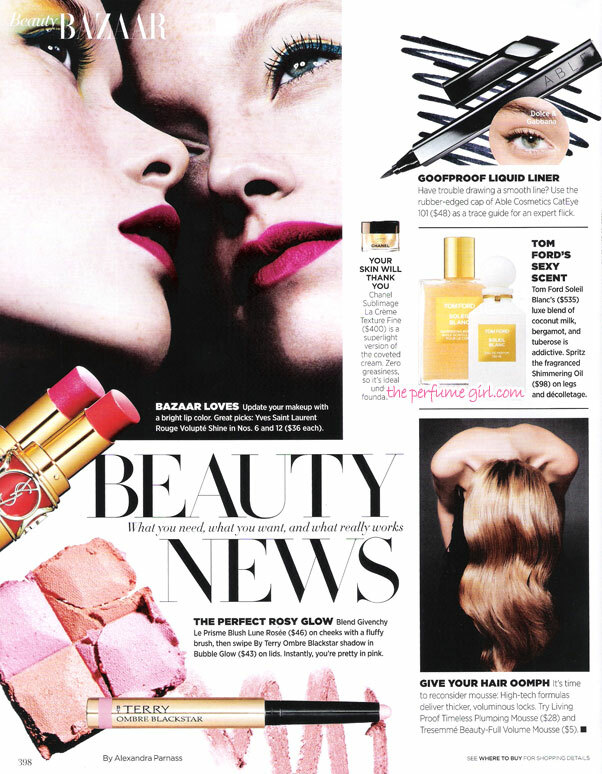 Spritz the fragranced Shimmering Oil ($98) on legs and decolletage (tomford.com).